High quality office space within a brand new building close to Leeds and Bradford. 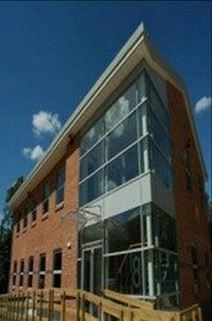 Flexible and available unfurnished, with kitchen and bathroom areas, CCTV and telephony systems. Conveniently located close to the intersection the M62 and M621, with superb public transport links and a full range of amenities close by. With a range of suites ranging from 125 to 1,000 sq. ft., and suitable for up to ten people, this recently refurbished office space is just five miles south of Leeds City Centre. The centre run a no hidden charge policy on flexible six-monthly leases.